Divergent was written by Veronica Roth and has been a very successful series. 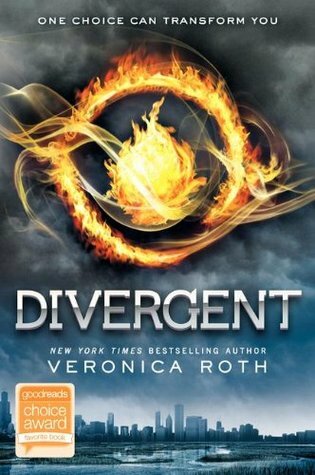 The first book in the series, 'Divergent' became a major motion picture in 2014. The story is basically a romantic adventure based in a fantasy world. Society has been split into factions based on the major personality type of its members. Each faction contributes to society in its own way, based upon its key strengths, but this is hardly described in the book. The factions seem a little artificial, their categorisation too simplistic. Although the Dauntless faction has some basic depth to it, many of the others appear to be hollow shells that offer little in the way of a society or a way of living. Candor, for instance is a faction where everyone tells the truth. What else they do all day long is left a mystery. There is no real explanation of how the world operates outside of the limited confines of the book's scenes. The main character is a sixteen-year-old girl called Tris. She is born into Abnegation. Her faction has strict rules about being selfless at all times. Like many teenagers, Tris doesn't feel like she belongs. When she reaches the age of sixteen, she is given the choice to continue in her own faction or to switch to another. Out of all the available factions, she chooses Dauntless, the most dangerous of all. Much of the story is based around a young woman's doubts and fears, and what drives her to understand herself and others. We are drawn into her feelings and hopes and are placed squarely in the middle of her teenage love. This is perhaps the strength of this book, and also what determines the range of its appeal. Teenagers will no doubt empathise with Tris and be drawn deeper into the story. Older science fiction readers may be frustrated with the touchy, feely nature of many of the scenes and be inclined to flip a few pages to get on with the story. There is no doubt that is an imaginative story with a fast pace and plenty of disturbing elements to add to the sense of danger, but it treads a well-worn path. It is well written and flows along with plenty of action, and yet it feels a little too smooth and gentle at times, even when the events are at their most cruel. The book can be exciting when the action is in full flow, and the characters are well formed. The truth is that the author is probably aiming more at younger readers than myself. This is categorised as YA on Amazon, though there will be some older readers as well. Perhaps if I was in my late teens, running around and idolising adventure and excitement then this book would resonate more with me, but in my ripe old age I found it too emotional and lacking in depth. The ending also seemed rushed as though added on as an afterthought rather than being part of the original plot. I give Divergent 3 out of 5 stars. I would recommend this story to science fiction and fantasy fans who are interested in romantic story lines or YA adventures. You may like it more if you are still young and dating rather than an old crust like me. 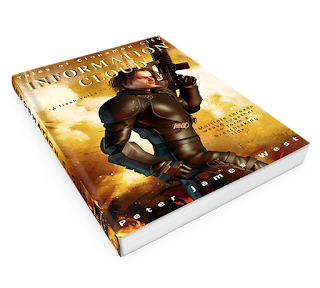 The series has done extremely well so it must strike a note with many readers.